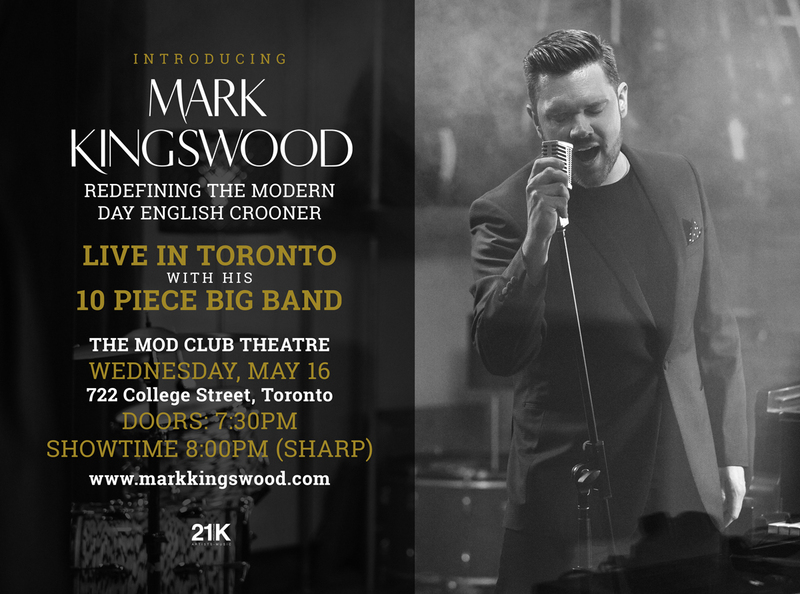 British recording artist Mark Kingswood recently moved from the UK to Montreal to concentrate on the North American market. He will do a concert in Toronto on Wednesday, May 16 at the Mod Club. Although the show is primarily a media and music industry showcase, Brits in Toronto has been generously offered 10 FREE pairs of tickets to see Mark perform! Quite simply leave your name in the comments below, contact or tweet us and we’ll randomly pick 10 lucky winners on Sunday, May 14 whose names will be added to the guest list at the door. This entry was posted in Uncategorized and tagged brits in toronto, mark kingswood on April 30, 2018 by britsintoronto. 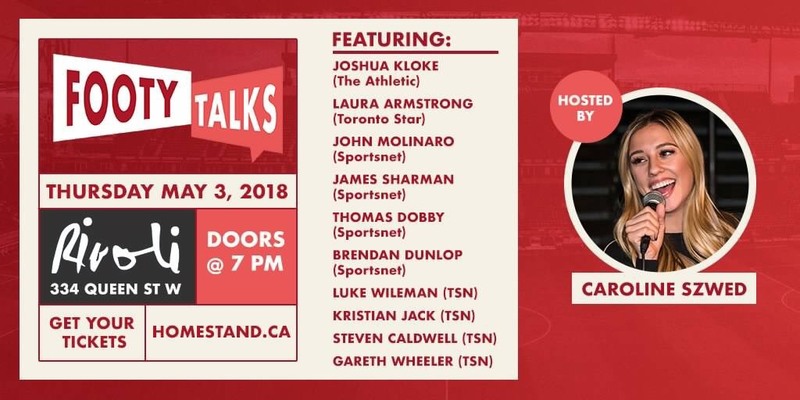 Footy Talks is back at The Rivoli in Toronto on Thursday, May 3 featuring some of the best insiders in the industry. Join Luke Wileman, Kristian Jack, Steven Caldwell, Garth Wheeler, James Sharman, Thomas Dobby, Brendan Dunlop, John Molinaro, Joshua Kloke and Laura Armstrong for a night of beers, conversation and Q&A! The event is hosted by Sportsnet’s Caroline Szwed. And, oh yeah — Brits in Toronto readers have 20% off so just use the promo code “supporters” to get the discount. This entry was posted in Uncategorized and tagged brits in toronto, caroline szwed, footy talks on April 21, 2018 by britsintoronto. The British Council is looking for individuals from across Canada to become a member of their international policy and leadership program. As a member of Future Leaders Connect you will access a nine-day residential program of advanced policy and leadership development at the University of Cambridge. You will be part of a group of phenomenal young leaders from around the world discussing today’s biggest global challenges in the Houses of Parliament and you will have private meetings with inspirational leaders. The costs of travel, accommodation and meals are covered by the British Council and the program is fully accessible. As a member of the program you will go on to be able to access a range of international fully funded professional development opportunities. You must be aged 18-35, have a policy idea that could create change and be able to attend the nine-day program from 22-31 October 22-31. If you’re interested apply here by Sunday, May 13 (18:59 p.m. EST). This entry was posted in Uncategorized and tagged british council, brits in toronto, future leaders connect on April 2, 2018 by britsintoronto. We got an e-mail from The Power Plant* Contemporary Art Gallery to let Brits in Toronto readers know of an upcoming program that may be of interest. On Monday, April 16 the gallery will welcome Ralph Rugoff as a speaker in its International Lecture Series. The Power Plant’s long-running International Lecture Series brings some of today’s greatest thinkers from around the world — high-profile artist, curators, and cultural commentators — to Toronto. Ralph Rugoff has been Director of the Hayward Gallery, a renowned contemporary art gallery at London’s Southbank Centre, since 2006. Rugoff was just announced in December 2017 as Artistic Director of the 58th Venice Biennale in 2019. He curated the 13th Biennale de Lyon in 2015, and initiated and co-curated Baja to Vancouver: The West Coast in Contemporary Art, in 2003. Readers are invited to attend this FREE lecture, taking place at OCADU. *Brits in Toronto lawyers made us include the disclaimer that The Power Plant should not be confused with The Power Station, and this is not a reunion tour. This entry was posted in Uncategorized and tagged brits in toronto, hayward gallery, international lecture series, ralph rugoff, the power plant contemporary art gallery on April 1, 2018 by britsintoronto.